This book aims to offer research at the cutting edge. The individual chapters are fully revised and updated versions of contributions to the first focused scientific symposium on research in geographic information systems GISRUK. 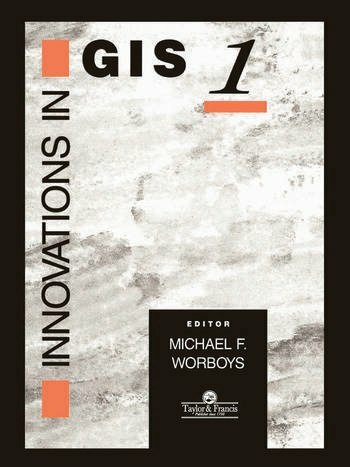 The book provides the reader with a comprehensive outline of the full range and diversity of innovative research programmes in the science of GIS. Chapters address key issues such as computational support; spatial analysis and error; and application and implementation. Part 1 Computational support for GIS: on the integration of database systems and computational support for high-level modelling of spatio-temporal phenomena, Terence Smith; computer assisted tools for cartographic data capture, Tim Mayo; an automatic generalization system for large-scale topographic maps, Gary Robinson et al. Part 2 Spatial analysis and error: a concepts-rich approach to spatial analysis, theory generation and scientific discovery in GIS using massively parallel computing, Stan Openshaw; visualizing spatial association in area-value data, Jason Dykes; error simulation in vector GIS using neural computing methods, Chris Brunsdon and Stan Openshaw. Part 3 Applications of GIS: information sharing and the implementation of GIS - some key issues, Ian Masser and Heather Campbell; modelling environmental systems with GIS - theoretical barriers to progress, David Livingstone and Jonathan Raper; coupling of process-based vegetation models to GIS and knowledge-based systems with reference to vegetation change, David Miller.